Clients: Geo Consulting Engineering Ltd.
GPS drifter study of nearshore currents. Analysis of contrasting wave and tide conditions. Quantification of current speed and flow direction. Data provided to help validate a numerical model. 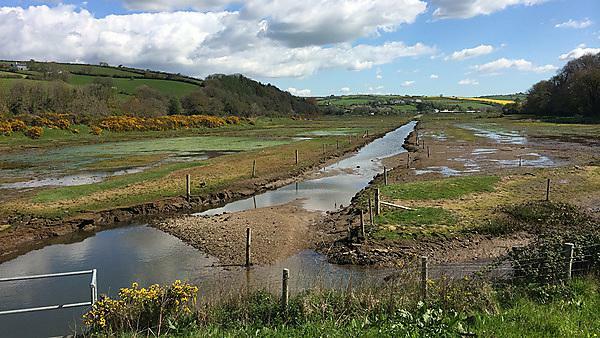 "Great work you did there CMAR and great to work with you on such a complex issue"
Desk-based study to investigate ways to better incorporate wave setup and runup, and wind setup components in SEPA's coastal flood risk maps. Review of scientific, peer-reviewed literature on coastal flood modelling. "CMAR provided us with high quality advice with an excellent understanding of our requirements. The work was delivered on time and to a high standard. I would have no hesitation in recommending the team. Many thanks!" Generation of an agreed list of British beaches. Identification and collation of relevant and feasible risk-related beach parameters. Statistical predictions of beach user numbers, beach hazard, and overall life risk at 644 beaches. Observation from both fixed instruments (wave, tide and current meters) and GPS-drifters. Quantification of topographic rip currents and rip circulation patterns. Calibration and validation of a numerical model (XBeach). Estimation of wave set-up at the structure from nearshore wave buoy measurements. Prediction of tidal elevation using a calibrated harmonic method. Estimation of 1 per cent exceedance atmospheric (wind and inverse barometric effect) surge statistics using tide gauge data and a Monte Carlo method. Weibull analysis of a peak wave height time series to predict the 5, 10, 20, 50 and 100 year return significant wave heights at the structure toe for different toe depth scenarios. Modelling frequency and duration of tidal inundation. Regular terrestrial laser scanning of entire salt marsh. Analysis of sediment and seed deposition. Ecological monitoring including plant survey. Marsh surface samples for foraminiferal analysis. Combined supratidal and subtidal survey. Wave refraction modelling over the measured reef bathymetry to examine wave focusing and breaking on the reef. Surfer mounted Global Positioning System (GPS) data recorded during surfing sessions at the reef and the beaches next to Boscombe pier. Tidal height predictions, providing estimates of water level on the reef during observations. Observation of surfer numbers on the reef and pier beaches taken by Seafront Rangers.